Only its obituary remains to be written. In her heart of hearts, UK Prime Minister Theresa May opposed Brexit – overtly as home secretary, covertly as PM while pretending otherwise. Majority UK parliamentarians rejected her no-Brexit/Brexit deal twice, agreeing only to extend the March 29 deadline – beyond when negotiating a withdrawal agreement is supposed to end, provided Brussels goes along. It doesn’t matter either way. Brexit was dead before put to the first parliamentary vote, more easily understood in hindsight than earlier. May’s request for extending the March 29 deadline for a further three months was rejected by Brussels. Reality will unfold ahead, leaving virtually no doubt that Brexit is dead, one observer saying it’s “time to read the last rites.” UK parliamentarians killed May’s no-deal/deal only Brexit opponents could love. May manipulated things to turn out this way all along, still pretending otherwise, trying to save face she long ago lost, along with her premiership she’ll likely lose ahead, maybe her political future with it. Her scheme was all about staying in the EU, pretending she wanted out. Instead of supporting the popular will to leave, she manufactured endless delays to assure otherwise. Her Brexit scheme was structured to exist in name only, largely leaving the status quo in place. On Thursday in Brussels for an EU summit, May discussed an extension with European leaders. MPs “decide(d)” overwhelmingly against May’s no-Brexit/Brexit deal twice. She betrayed majority Brits supporting it by national referendum. “British society clearly voted in favor of Brexit,” obligating May to deliver what the public called for. “But the British elite, led by Theresa May” believed the referendum would be defeated, keeping the UK an EU member. May structured a deal acceptable to Brussels, not majority Brits, so the result would “either (be) Brexit without…consequences, or the UK” would remain in the EU “with most of its membership duties” and privileges, including duty-free trade with other European countries. May and other UK ruling authorities would like Brexit to disappear. They say: “Good, you voted for Brexit, but you don’t really want it, do you? (W)e will arrange this for you,” said Renkas. The public circus since June 2016 turned off Brexit supporters. They’re fed up with May’s shenanigans, accomplishing nothing but endless delays. Is leaving the EU without a deal possible, a so-called hard Brexit? Despite its short-term disruptiveness, mainly because it never happened before, so the consequences are largely unknown – it’s the way Britain should have gone straightaway in my judgment. The UK isn’t Greece, an easy to shove around small country, powerless against Big Brothers in Berlin and other major EU capitals. Britain is a major European player. May’s option was Brexit in name only, not the real thing, why nothing was accomplished following the June 2016 referendum – nor will things change ahead to deliver what Brits voted for. Britain, I believe, will remain an EU member. The only other options are a no-Brexit/Brexit deal or another referendum – likely to be defeated by fed up Brits, if held, wanting the circus to end sine die. Overnight in Brussels, EU leaders agreed to push back the March 29 deadline to May 22 – provided UK parliamentarians accept the twice rejected deal or significant movement toward acceptance within two weeks. There you have it. Chances for Britain to leave the EU with no deal are virtually nil – chances for the UK and Brussels to reach an agreement acceptable to the bloc and Britain’s parliament no better. After nearly three years of achieving nothing, things are virtually back to square one – why I believe Brexit is dead, its obituary alone remaining to be written. Note: A Wednesday-posted petition in the UK to revoke Article 50, preventing Britain from leaving the EU, was swamped with hundreds of thousands of signatures – pouring in at the rate of about 1,500 per minute. 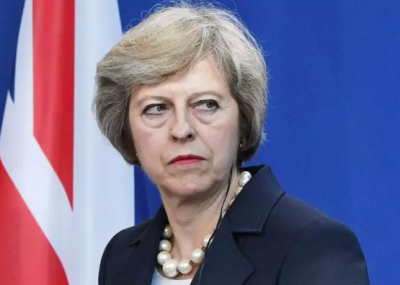 Does it reflect public anger over May’s delaying tactics achieving nothing, or did she rig things to make it appear most Brits now oppose Brexit, giving her an easy option to remain in the bloc with the appearance of public approval?